Sometimes I think about other jobs I could have and it makes me sad. There are some vocations out there where, no matter how well you do, nobody is happy. Journalists — like, the real reporters, not guys writing about food on the Internet — are often told the only way to know you’re doing the job right is that everybody is mad at you. Personally, I’m pretty content in a job where I get to make everybody happy. You, the reader, get to find out about new restaurants that you’ll enjoy. And restaurant owners, who need customers to keep owning restaurants, are happy because they have people to serve. And that is what makes today such a joy. I’m about to introduce you to Lip Smackers Restaurant, which you are going to love unabashedly. And Jabbar, the owner of Lip Smackers, is going to be ecstatic to serve so many people who really enjoy food. Like so many things, it started with a text. In this case, my buddy and former co-worker Garett sent me a message. That’s my love language right there. I took a group of my Patreoniacs and we plowed through some ridiculously tasty burgers, of which there are a plethora to choose, and ate maybe the best fried okra of my not-so-short life. The next day, after driving around town, I realized it was lunch time and I thought, “Well, why not?” and went back. This time I ordered a chicken caesar wrap, as suggested by Jabbar’s young apprentice, and more okra and grabbed a seat. I looked around. There was a table of gentlemen who got their burgers and sandwiches before me who began to make a lot of noise. There was a young lady waiting on a to-go order. “I told you!” one of the gentlemen said. “This is my new spot,” said another. They had barely tucked into their meals and they couldn’t wait to come back. They took a piece and chewed on it and it dawned on them: this was fresh. This wasn’t the usual bag of frozen okra that gets dumped into the fryer. It was battered and fried and there were big swaths of vibrant green hiding behind the crispy, salty crust. The young lady stopped by my table. She was a friend of one of the people who ate with me the night before and came as soon as she heard they had a burger covered in onion dip and freshly fried potato chips. Everyone who has eaten there has the same reaction: How is this real? Lip Smackers is indeed in that sketchy gas station just north of I-44, which has been so many things in its long life. Before Lip Smackers it was Funnylams and before that it was some kind of international food court and before that a Lions Choice roast beef restaurant and long ago a Burger King. This is the last time it will change hands, at least until Jabbar decides to take his busy burger and sandwich joint to a bigger location, because Lip Smackers is like nothing else before it. One of Jabbar’s worries was that people wouldn’t know what Lip Smackers Restaurant serves, and I’ll admit the name isn’t as specific as it is evocative. There will be a fair amount of lip smacking, but what will your lips be smacking on? Burgers, mostly. 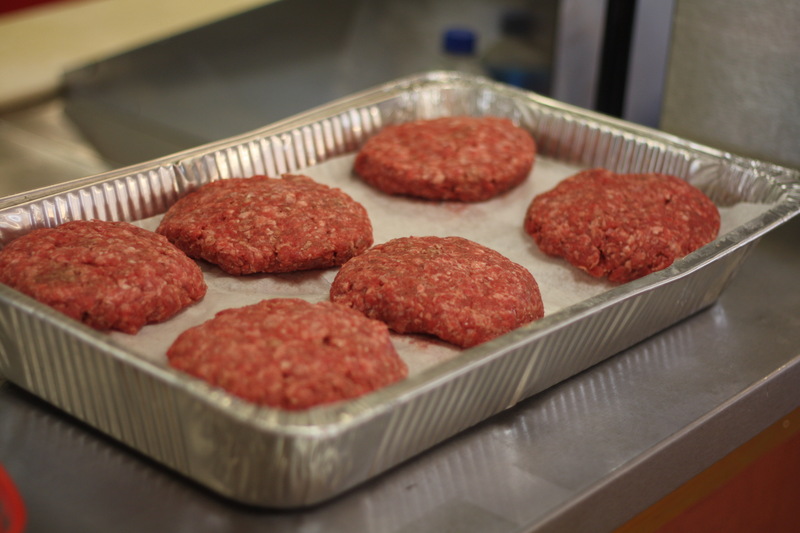 On the one hand, hamburgers seem like a no-brainer, given how many people around here love them. If we could get rid of the scissortail flycatcher and replace it with a cheeseburger, I bet Oklahomans would proudly tell people it was our state bird. On the other hand, competition is fierce. There are easily 20 other places serving burgers within a few miles, including heavy hitters like Tucker’s Onion Burgers, S&B’s Burger Joint and Irma’s Burger Shack. But Lip Smackers has a few things going for it: price, portions and skill. Jabbar is serving fresh half-pound angus burgers for $5-7. And he knows how to cook, too. 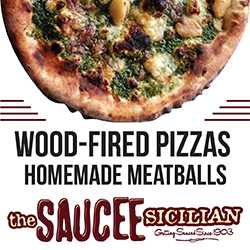 His flavors are on point and not just a rehash of what you’ll find at nearby competitors. 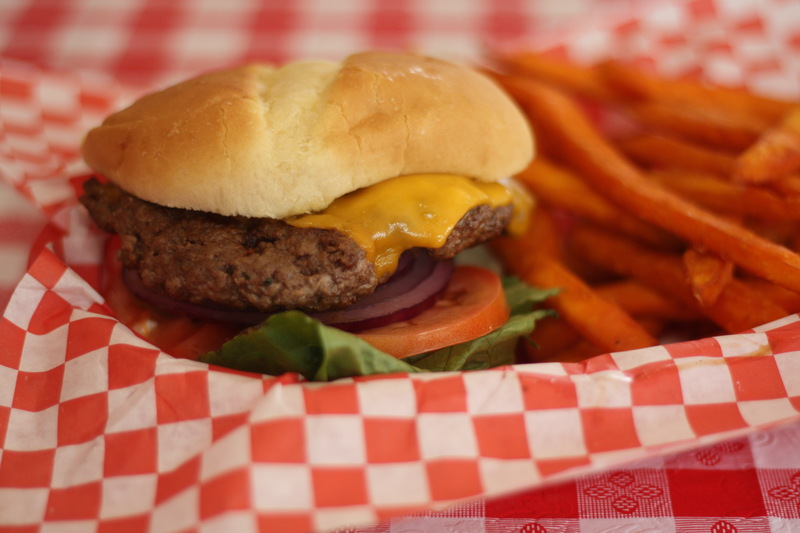 As a starting point, a half-pound cheddar burger ($5.45) is a good example of what you can expect. Jabbar eschews the use of American cheese (“It’s all oil”) for cheddar and loads it up with fresh veggies. The beef is hot and juicy, dripping generously after the first bite. Break off a piece of the meat by itself, no condiments or cheese, and just taste it. This is the heart and soul of the sandwich and it’s the foundation on which all the other flavors are built. It’s not springy or spongy. It’s tender, full of flavor and well-seasoned. A damn fine burger. I don’t want to give short shrift to the rest of the burgers, but there are just so many to mention. The French brie burger ($6.45) has, you guessed it, melted brie on top and it is luscious. It was cooked to a beautiful medium, with just a hint of pink in the middle, and the juice of the beef and the buttery cheese blended together to make an incredible flavor. The grilled olive burger ($6.45) is apparently a big seller in other parts of the country, but its the first time I’ve seen it here. Salty green olives, jarred not canned, are sliced and grilled pressed into the burger patty. It’s juicy, greasy, fatty and utterly wonderful. 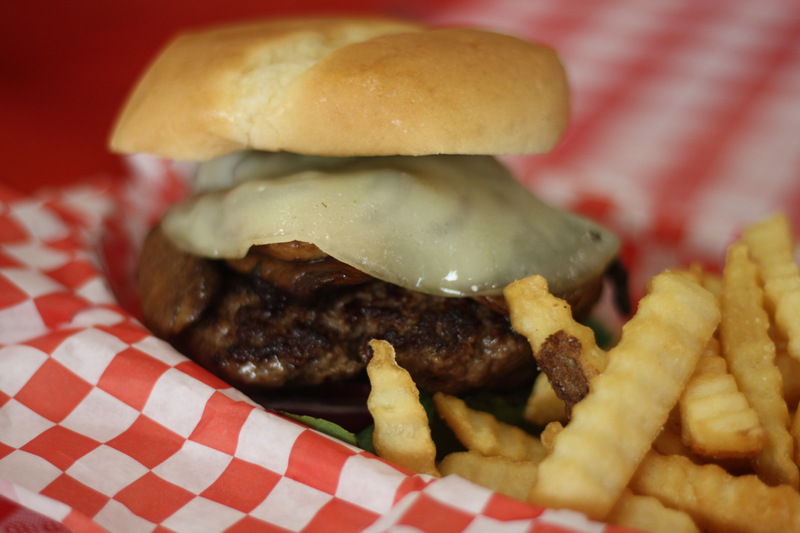 The mushroom swiss burger ($6.45) uses fresh mushrooms, grilled when you order, and it makes every ounce of difference. The flavor is spot on, the texture is so much better than those springy, spongy canned mushrooms. 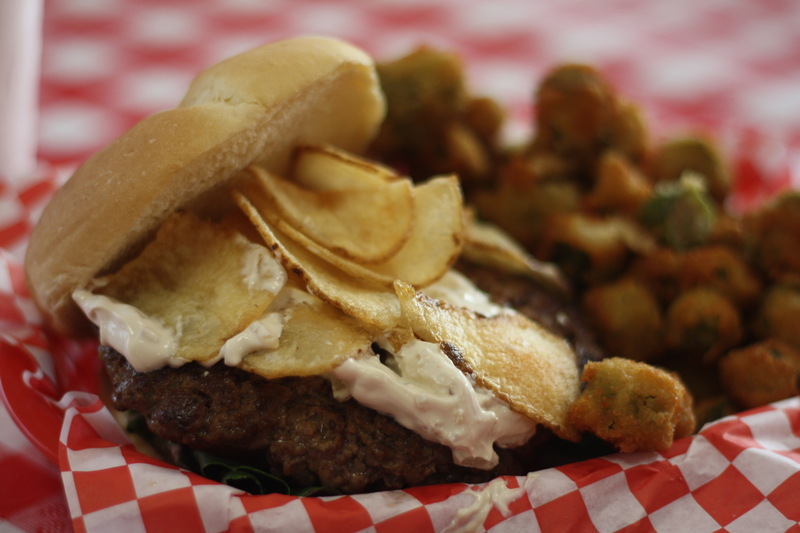 Maybe the best of the bunch is the chips and onion dip burger ($6.45) which is exactly what it sounds like. Freshly fried potato chips freshly made onion dip on top of a freshly fried burger. Everyone who tasted it made noises that would get you thrown out of a Barnes and Noble. You can go crazy and get a 1 lb. cheeseburger for $8.95. That’s insane. The quality here is unreal and the value is, frankly, worrying. Like, I’m not sure how Jabbar affords to serve this much quality food and still lives. 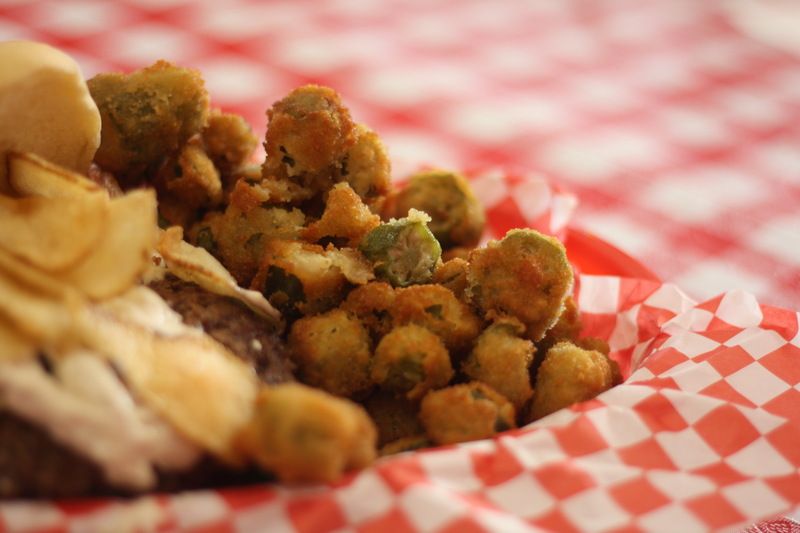 You have to get the okra ($2.95), because it’s simply the best. It’s surprising, like so much of this menu, because we as consumers have become inured to people taking shortcuts. And if they don’t take shortcuts, the prices are high enough to reflect that. Here’s a guy making everything himself and it shows. The grilled Mediterranean sandwiches are also crazy good. I had the chicken ($7.95) and it’s massive and filled with real chicken, marinated and grilled in the kitchen, not dumped out of a bag straight from the freezer. It feels weird to keep saying that, but the problem is so many places do use cheap convenience foods that lower the overall quality. The shrimp sandwich ($8.95) was the big winner. Jabbar credits the recipe to his brother, who taught him to marinate the shrimp before grilling them, giving them a juicy pop and a burst of seasoning. 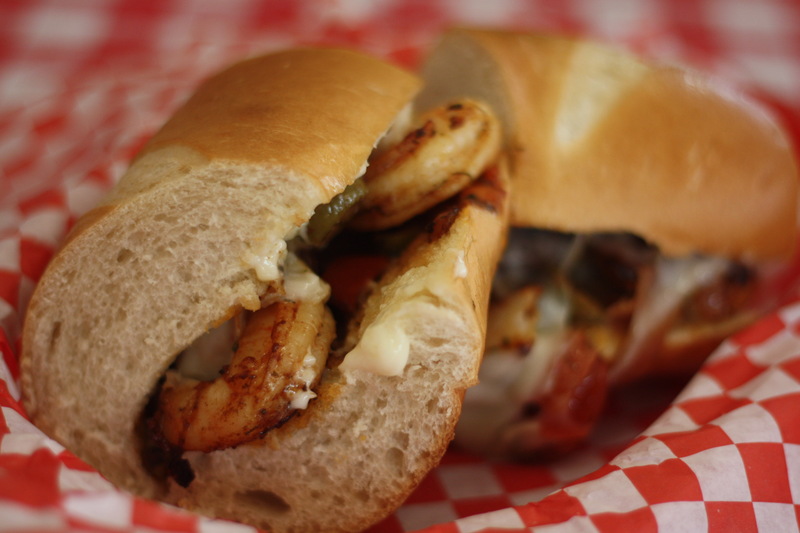 The grilled onion, olives and tomatoes are a good chorus that backup, but never overshadow, the shrimp. It’s not even on the menu, but I had a grilled chicken caesar wrap there that was tremendous. And, again, it’s not notable for being unique. I’ve had chicken caesar wraps before that bored me to tears. It’s notable because of all the little things Jabbar does to make his food special and real and wonderful. This guy cares about what he’s serving. I cannot say enough about Lip Smackers, but at some point you’ll stop reading, so let’s wrap up with this: not every hole in the wall is hiding something special. Some places are small and unknown because the food isn’t worth growing or knowing. Lip Smackers is not one of those places. The food Jabbar is cooking is honestly so good that is breaks my heart a little when he asks me if I think he’ll make it. Yes, man. There’s a reason I’ve been back. There’s a reason I’ve told my friends. There’s a reason I’m writing this review. Lips Smackers is great. It deserves to be here for as long as Jabbar wants to keep cooking those burgers and sandwiches.